Barbados is classified as a Small Island Developing State (SIDS). It is heavily dependent on oil imports but has significant potential for renewable energy and sustainability initiatives. 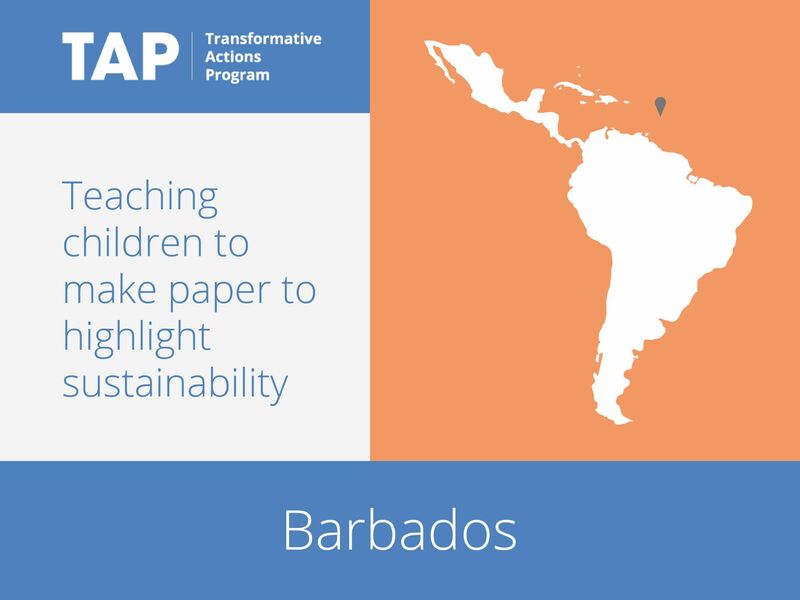 To nurture this potential, the government has partnered with Octopus Three, a local manufacturer of environmentally friendly Banana Fiber Recycled Paper (BFRP), to educate schoolchildren on the effects of climate change and the benefits of sustainability. Within this program, Octopus Three will teach students how to make recycled paper, delivering sustainability education in a memorable and practical way. The program is projected to run indefinitely, and has the potential to be exported to other schools in the region.